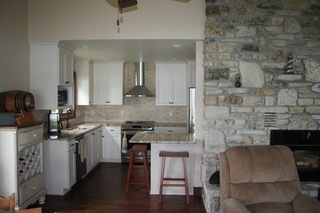 Kitchen Remodel in Baileys Harbor! Here are the "after" photos! What a difference! The white really brightens up the space. Flooring by Champeau Flooring, Sister Bay. 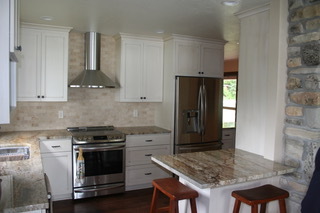 Cabinets by Wilco Cabinets, Sturgeon Bay.